When we buy toys for our children, we hope that they will enjoy the toys and have fun with them. We sometimes base our decisions on what we think we would have liked as a child. And sometimes we base our decisions on the popularity of toys. After all, if so many kids like a particular toy, our child will like it too. We see what we think is the perfect toy or the perfect game, and buy it expecting our child to be thrilled with it. And while he might be delighted initially, after a few days - or even hours - of play, the excitement fades. 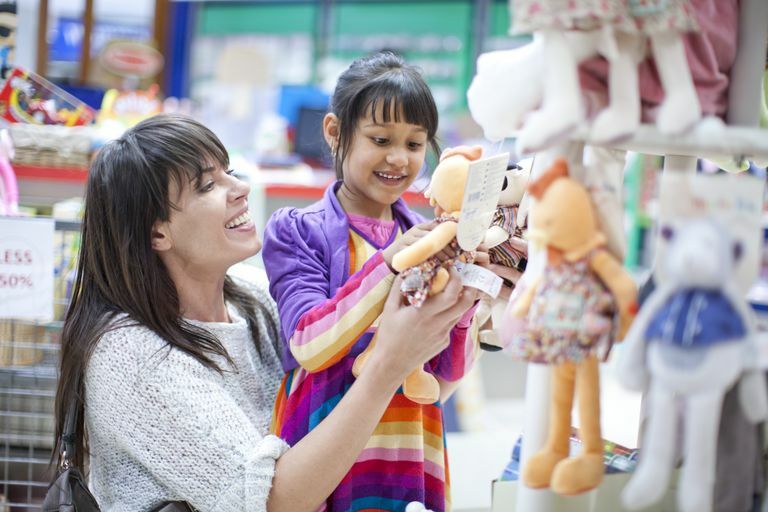 Buying toys for gifted kids can be tricky, but if you use these criteria to evaluate the toys you're considering, you'll be more likely to bring home a toy that your child will actually play with. It's a little secret I learned long ago. Gifted children enjoy using their minds and like to figure things out, so toys for them should provide them with some challenge, but not so much that it is frustrating to work with. That means that they should provide The challenge should also be intentional and not the result of poor design. Toys that are difficult to put together or fall apart easily are simply frustrating. Games and toys that allow them to exercise their minds are good choices. Puzzles and games like the "Set" card game are examples of good games. Another consideration when buying a toy for a gifted child is whether it allows a child to be creative. The mental stimulation comes not from figuring out a winning strategy or working out a puzzle, but from imaginative play. Blocks and other construction toys are excellent ways for kids to use their imaginations. Sometimes games will provide intellectual challenge and also opportunities for children to be creative. Various art supplies will also provide opportunities for creative play. If your child is school age, look for toys that feed his or her interests. For example, if your child loves language, look for language-based games and toys like Mad Gab. However, if your child is a toddler or preschooler, consider toys that would appeal to various interests, including art and music. Young children need exposure to all the world has to offer. Otherwise, dormant talents may remain dormant. Older children need variety too, but may already have interests that should be nurtured. Should You Buy Toys Based on Gender? Many toys are marketed for either boys or girls. Dolls and dollhouses, for instance, are marketed for girls, while trucks and cars are marketed for boys. However, the primary considerations for gifted boys and girls should not be which gender a toy is marketed for, but whether it is challenging, allows for creativity, and will nurture a child's interest. Gifted girls often love science while gifted boys may love art. Parents of gifted children, like most parents, will look at the recommended ages for a particular toy or game. However, since gifted children are intellectually advanced, they are usually able to play with and enjoy games for older children. They will often get quickly bored with toys meant for younger children. The only criteria parents should worry about are whether the game has appropriate subject matter (i.e. not sexually oriented) and whether a toy for a toddler presents a choking hazard.